Posted December 20th, 2013 by jonathan Stratman & filed under Apple News, Tech News, Uncategorized. 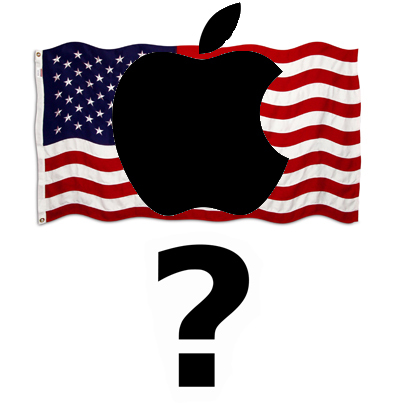 In December of 2012, on ABC World News, Apple was brainstorming the idea of having an American-made product. It was the same segment that we were featured on. When I heard this story, I was so happy! I think this step is a big one, not only for businesses, but for America. Because a huge company like Apple, who has successful products everywhere, clearly doesn’t need to make their products in America to succeed — they’ve been shipping jobs overseas for years. This turn of events just goes to show that made in America does matter!! I personally know exactly what it takes to make products 100% made in America. I’ve dealt with overseas manufacturers, and I know it’s tempting to send work out of the country. So for a company like Apple to take this leap is totally bodacious! Who knows, maybe this will be the start of something new, maybe it’ll start a new trend and more of the bigger companies will move production and manufacturing from overseas back to America. What would be totally bodacious is if Apple would start making the iPhone in America also. Then the iPhone could be American-made and protected by a 100% made in America Bodacious Case – that’s twice the bodaciousness!